The park is four miles north of Aptos on Aptos Creek Road. Status Notice: Updated 12/1/17 - The Forest of Nisene Marks continues to recover from 2016/2017 Storm Related Damage. Many of the previously closed trails have reopened. Please see below for current closure information. Off the beaten path, The Forest of Nisene Marks is a refreshing retreat from the busy towns and beaches along Highway 1 near Santa Cruz. Its dense second- and third-growth redwood forest rises from near sea level to steep coastal mountains. 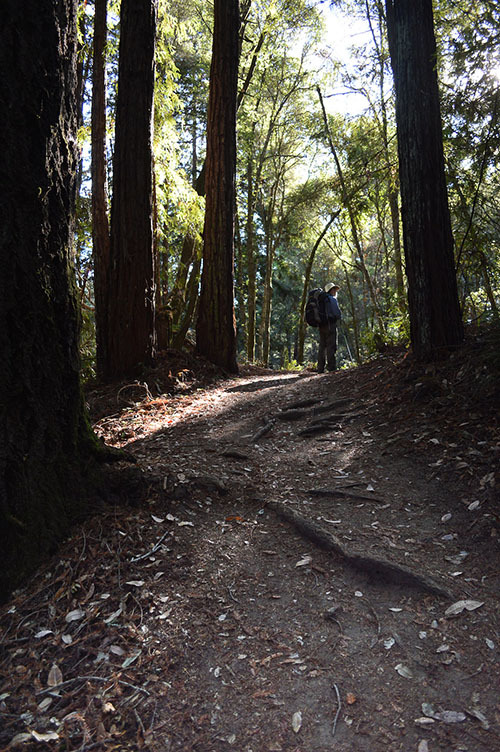 Most visitors come to picnic near Aptos Creek or to hike, jog, or bike on 30 miles of trails in rugged semi-wilderness, rising from sea level to steep coastal mountains of more than 2,600 feet. The park’s land has a bittersweet beauty. Almost all of today’s redwood forest was clear-cut in a 40-year logging frenzy from 1883 to 1923. When the loggers left the Aptos Canyon, the forest began to heal itself; now, the scars grow fainter with each passing year. The Forest of Nisene Marks is a monument to forest regeneration and the future—it is a forest in a perpetual state of becoming. The park's name honors Nisene Marks, the nature-loving mother of the Salinas farm family that bought the land in the 1950s. Her children donated approximately 9,700 acres to the state in 1963 with the provision that the land never be developed. 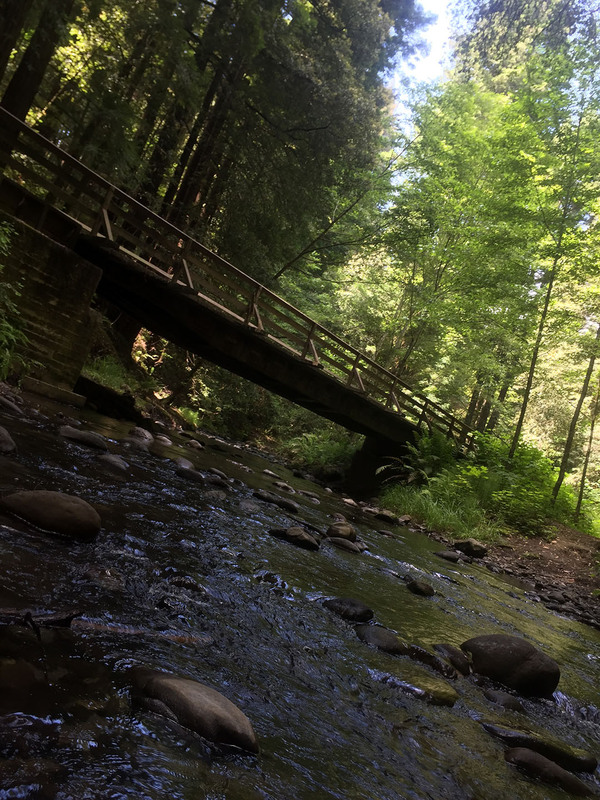 Today, the park showcases a forest in recovery, with rugged canyons and remnants of its once-bustling railroad and logging industry. A grove of ancient old-growth redwood trees near the Pourroy picnic area was preserved under private ownership and added to the park in recent years. FEES - There is a $8 vehicle day-use fee. [Regular Sized Auto: $8 (Senior $7, age 62 or older); Bus Parking (10-24 passengers): $50; Bus Parking (25+ passengers): $100] The entrance station cannot process credit cards at this time; we recommend bringing exact change. BICYCLES are allowed only on Aptos Creek Fire Roak and four "hike-and-bike" single track trails below the steel bridge - the four trails are Aptos Rancho Trail, Split Stuff Trail, Terrace Trail, and Vienna Woods Trail. DOGS are only allowed on Aptos Creek fire Road and the four single-track trails below the steel bridge (named above). Except for service animals, dogs are prohibited beyond the gate at the Porter picnic area parking lot. Dogs must be attended and on leashes no longer than six feet at all times. For a list of locations you can take your dog in Santa Cruz County, please click here. HORSES are only allowed and the four single-track trails below the steel bridge (named above). Horses are not allowed past the steel bridge. WEST RIDGE TRAIL CAMP - With a reservation, you can bike or backpack about six miles from the West Ridge trailhead to the park’s trail camp. Its six sites lie in a grove of redwoods. An outhouse and picnic tables are provided, but no water. Fires and dogs are prohibited. For more information or to reserve a site, call the park at 831-763-7063. Please click here to request a two-hour class visit lead by Seacliff State Beach staff in the 2018–2019 school year. Visits limited by staff availability. All available slots are presently taken; we can add hopeful classes to our wait list, but don't anticipate many cancellations. The Nisene Marks Volunteer Trail Crew helps make it possible for everyone to safely enjoy the beauty of our park. The Trail Crew meets the third Sunday of each month at 9:30am at the entrance kiosk, rain or shine. A typical workday lasts until mid-afternoon. Please bring your own work gloves, lunch, and water. Gain a unique perspective of The Forest of Nisene Marks State Park; enjoy a lively and productive experience with others who share a love of these redwood forests. 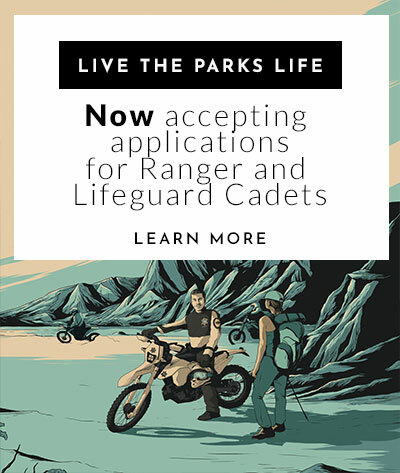 Learn the satisfaction of participating in a vital part of the park's ability to educate and inspire the public! Event made possible by the Advocates of Nisene Marks and the Nisene Marks Trail Crew.